Drummer best known as a member of the rock band We Are Harlot and formerly a member of Revolution Renaissance. He first gained fame as a full member of Revolution Renaissance on their third album in 2010, but the group was soon after disbanded. 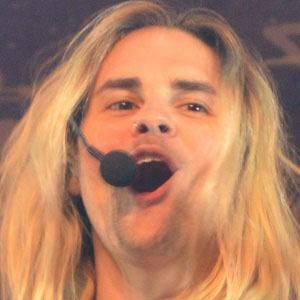 He has performed with We Are Harlot supporting acts like The Pretty Reckless at the Hard Rock Hotel and Casino. He was born in Rio de Janeiro, Brazil but later lived in Los Angeles, California. His bandmate and lead singer Danny Worsnop left Asking Alexandria to concentrate more on We Are Harlot.